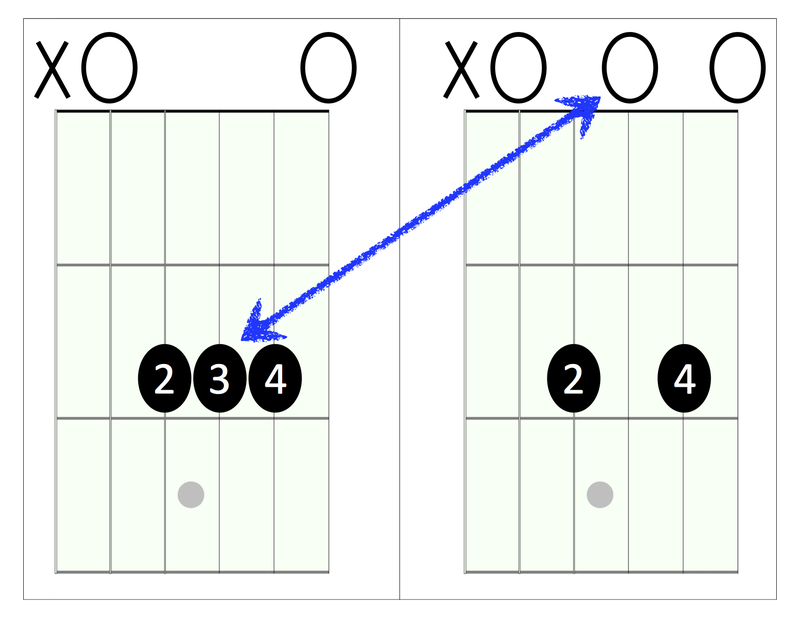 The 12-Bar Blues in E is a must-know for every guitarist’s skill set. Rollingstone.com created a list of the greatest songs, including a little background on each tune, you can see it here 500 greatest songs of all time. If you play these songs you are guaranteed to have happy listeners. To get you rocking as fast as possible I have made a simple one sheet teaching system. Each song comes with an informative bit of background in the article which will help you to feel more connected to the songs you are learning. This blog will be Rhythm guitar/ strummer focused. What you will notice is that there are a lot of similarities between songs and the chord progressions they use. You’ll be amazed at just how many songs you can play with open chords, a couple of single note lines, power chords and a capo. Let’s get started. “Ray Carles 260971neu000” by Heinrich Klaffs – http://flickr.com/photos/47686431@N04/4505892467 Ray Carles. Licensed under CC BY-SA 2.0 via Wikimedia Commons. You’ll find this style of playing the blues in the Ray Charles song “What’d I Say”. This song is number 10 on the Rolling Stone Magazine’s top 500 Songs of all time. 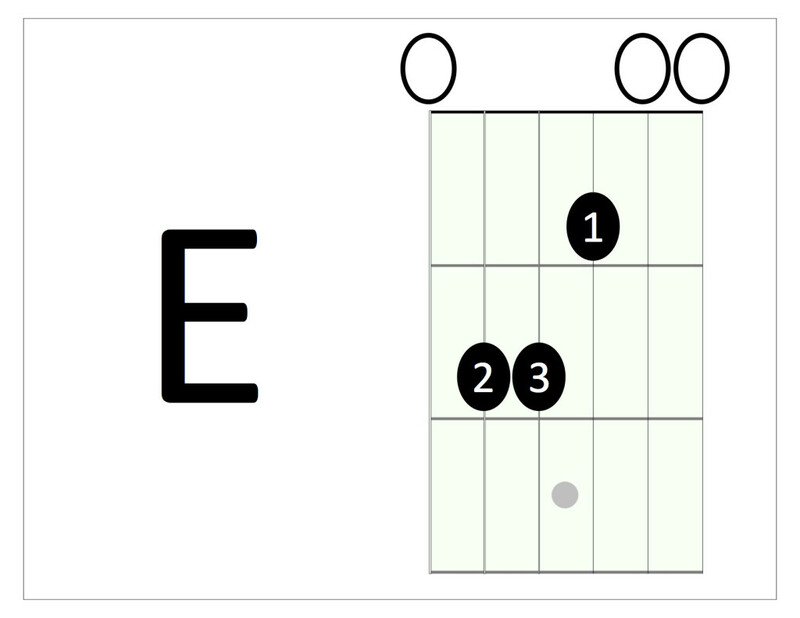 Here’s a fun way to play the blues in E.
Let’s break it up into three sections chords, rhythm, and form. 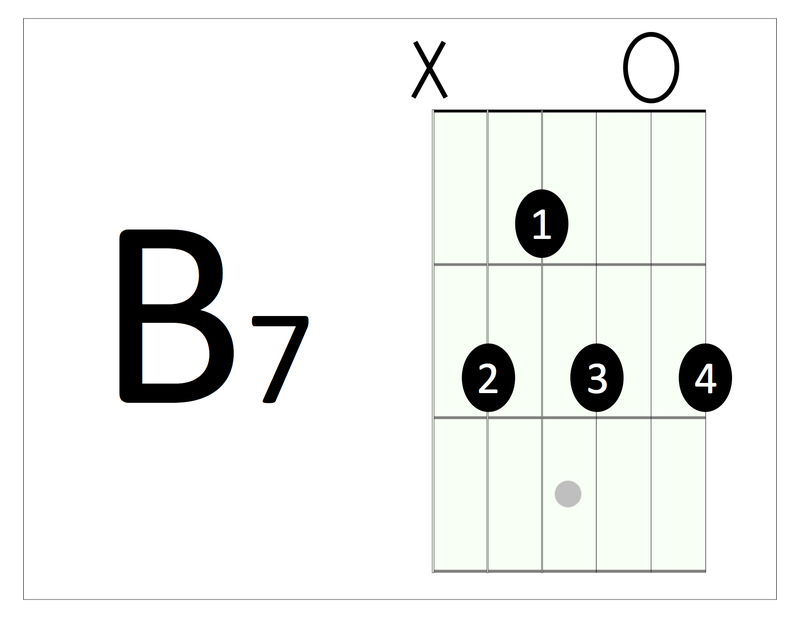 There are three chords in this 12 Bar blues E, A and B7. Now let’s go over switching from E to A, E to B7 and B7 to A. Make sure you spend some time practicing each move. 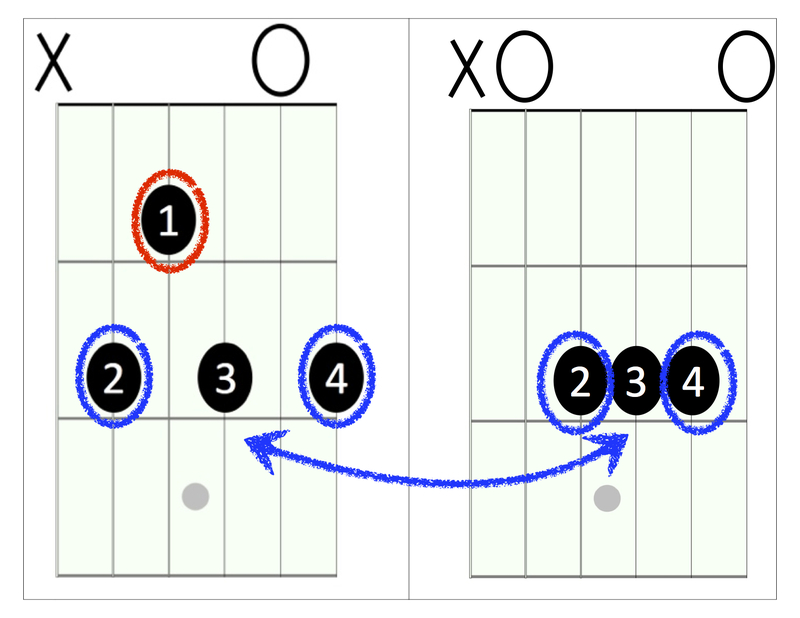 Ok now that you have the major chord changes let’s look at the smaller changes in this 12 Bar blues. We will be alternating between E and E7 and A and A7 a lot. Lift your ring finger up and down to go between E and E7. 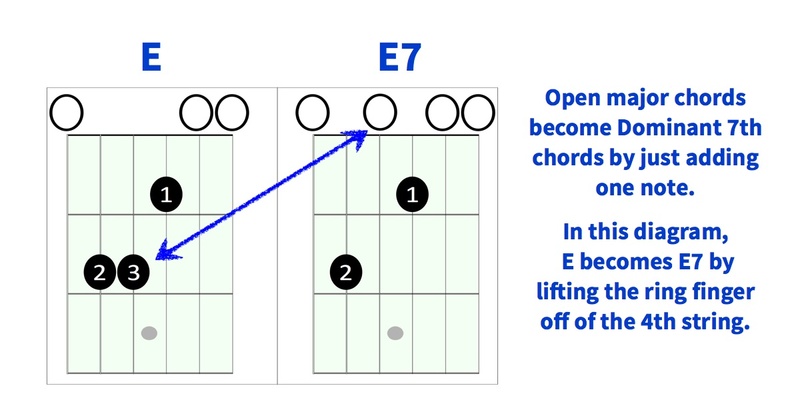 E is with your ring finger on the 2nd fret of the D string and E7 is with the open D string. Lift your ring finger up and down to go between A and A7. A is with your ring finger on the 2nd fret of the G string and A7 is with the open G string. 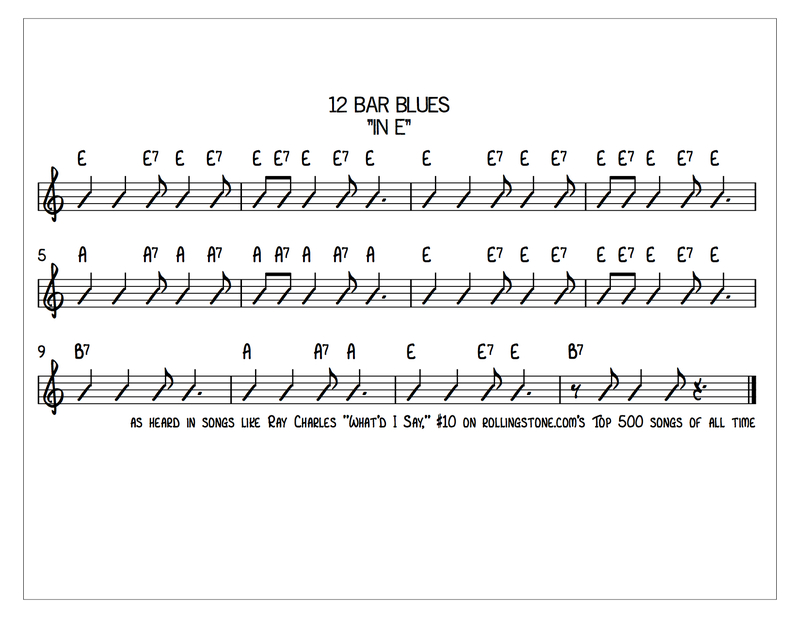 There are two rhythms in this 12 Bar blues. The first one is like this. Remember there are four beats per measure and you strum down on the beat. These are quarter notes. Then you can add the up strum in between which will make it an 8th note strum. Here is the first rhythm. The bold numbers are when you strum the strings. 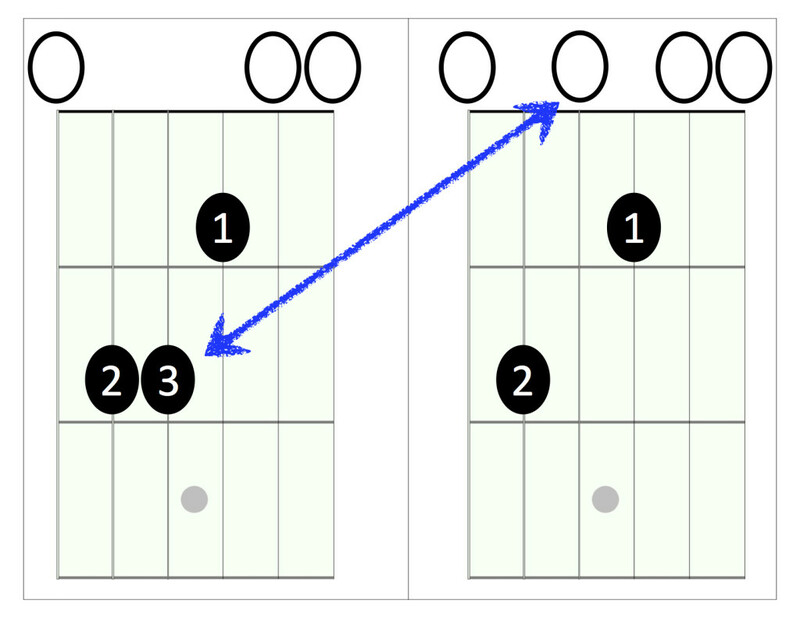 In this video I demonstrate the strumming pattern using E and E7. 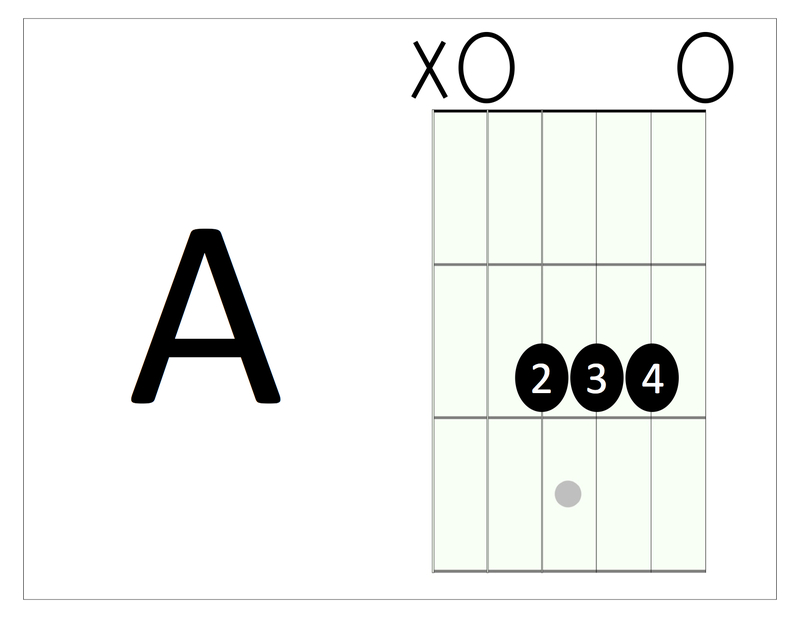 Two strums on E and four from E to E7. You can do the same with A to A7. 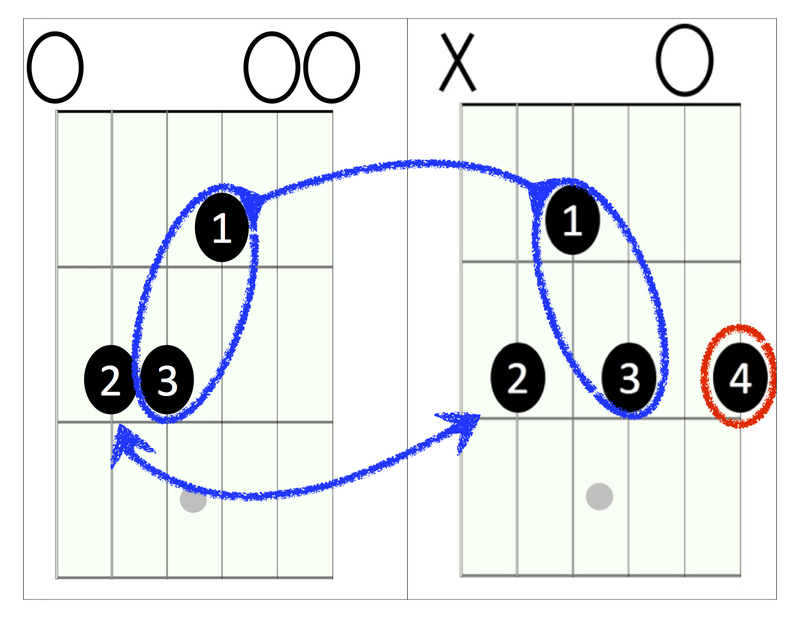 Here is the 2nd strumming pattern. It is one bar long and it is played with a B7 chord. Alright, now let’s break down the 12 bars. The first four bars are all E. Since the rhythm is a two bar rhythm you will play it twice alternating between E and E7. 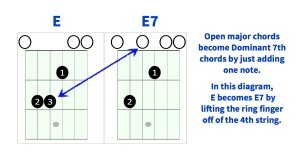 Then in bars 5 to 8 you will play the pattern once with A and A7 and once with E and E7. 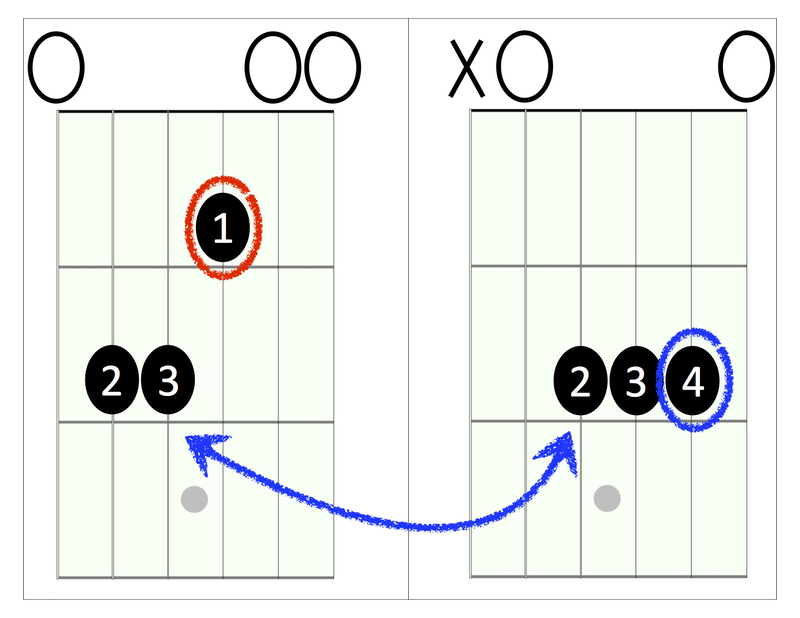 In the last four bars (which are bars 9-12) you will play the first half of rhythm 1 on B7 then on A to A7 and then on E to E7. Then finish it off with rhythm 2 on B7. Have fun jamming on your guitar! ← Whole steps and Half steps. Your first pieces in the puzzle.